It’s been more than a decade since Tool released its last album, 2006's 10,000 Days. 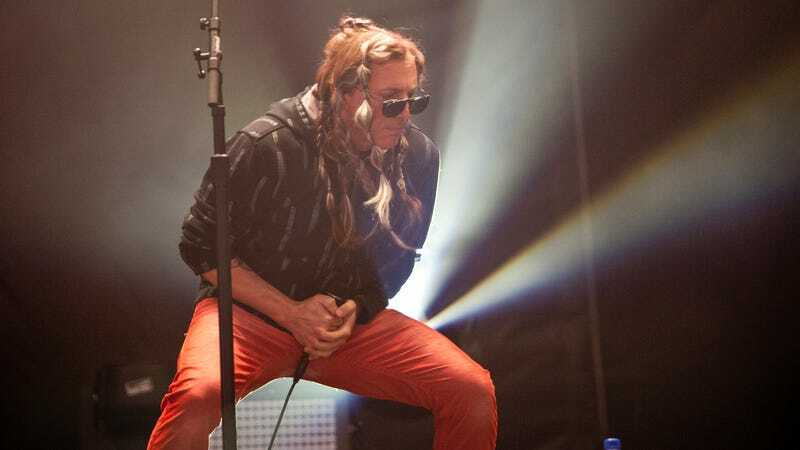 Now, frontman Maynard James Keenan has announced that the band’s next full-length offering—still untitled—is finally moving a little closer to completion; according to Keenan, the album is only one song short of being fully written. Guitarist Adam Jones also chimed in on Instagram, writing that the band intends to head into the studio to record in April, and reposting a comment from Skid Row’s Sebastian Bach, who says he stopped by to visit the group recently and was treated to some of the new songs. Good news for Tool fans: Bach’s descriptions were suitably glowing, in a “let’s all get our faces melted off” kind of way. This is progressive metal at its most atmospheric and right when you get into a groovy trance you get beat over the head with riffs so heavy it feels like a TOOL. Some tunes were so pummelling it felt like I was getting a deep tissue massage! in fact they could call the record that. No song was shorter than 7 minutes and some were 20 minutes long!